Tambun Indah Land is a property developer based in Penang and it was listed on Main Market on 18th January 2011 at an IPO price of RM0.70. On listing day, share price hits RM0.865 but since then the price dwindling down to below its IPO price. On 23rd March 2011, share price close at RM0.675. Fair Value/Target Price for Tambun by two research houses, RHB Research & Jupiter are at RM0.81 and RM0.95 respectively. However, the forecast may be not so accurate for a newly listed stock. One interesting fact about Tambun is, they expected to pay high dividend to the shareholders. From IPO prospectus, Tambun have a dividend payout ratio policy in between 40% to 60% of the net profit. 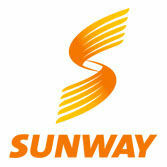 In March 2011, Sunway Holdings was awarded two contracts worth RM332 million. The contracts are RM74.1 million construction of central utilities facility at Biotechnological Park BioXCell and RM258m job for the construction of the Legoland Theme Park. 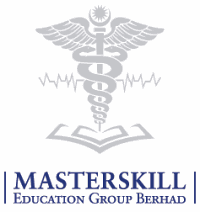 Both contracts are located in Iskandar, Johor. Another interesting news is regarding the merger between Sunway Holdings and Sunway City. The EGM to vote on the merger is expected to be held sometime in April. If the proposal goes through, the merged entity should be listed in July or August 2011. Many research houses are calling “buy” for Sunway Holdings. The table below are the target price for Sunway from various research house. The last traded price was RM2.19. However, many research houses are still maintaining a “buy” call for KNM on the positive sentiment that its current fiscal year would be better than 2010. The table below are the target price for KNM from various research house.